Click the "Create an Account" link at the top right side of our site. Click the "Sign in" link at the top right hand side of our site. Under the login box you'll see a link that says "Forgot your password? Click here". That link will send an email to you with your new temporary password. If you need to return an item, simply login to your account, view the order using the "Complete Orders" link under the "My Account" menu and click the "Received Wrong Item(s)" button. We'll notify you via e-mail of your replacement once we've received and processed the returned item(s). Most items ship within 24 hours. Also after placing your order, you can login to your account and click View Order Status in your Account Management window. You will receive a shipment confirmation email when your order has shipped and tracking information within 24 hours of shipment. Log in into your account an click "View Order Status" in your account management window. You can view the status of your current order(s) and also view any previous orders you have placed. Once an order is placed you are not able to edit the order. Credit cards are processed immediatley after placing an order. If you would like to add items or edit your order you would need to send an email to sales@avidvaper.com. Once an order is processed or shipped it is unable to be edited. Log in to your account and click on "View Order Status". You can view the status of your order and also track your order. Tracking information is available within 24 hours after an order has shipped. Orders outside the USA via USPS/EMS First class and priority international can NOT be tracked. Express mail international is trackable and insured. Since we rely on third party shipping entities like USPS, UPS, FedEx, and foreign customs agancies to handle the International shipment of our products, Avid Industries, Inc. can make no guarentees or warranties about delivery dates on our products and Avid Industries, Inc. cannot be held liable for any damages or inconveniences caused by late product delivery, or loss of items during shipment. Express mail and signature confirmation requires a person present at the time of delivery. We can make no delivery guarantees or warranties on first class or priority mail without signature confirmation and insurance. An item is wrong or missing from my shipment. Please contact us using our Ticketing Sytem with your order number and a detailed description of any items that are incorrect or missing from your shipment. 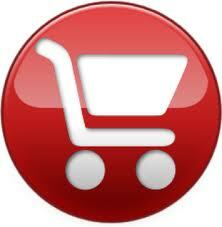 We do not accept payment for products that are not in stock. In the rare occasion that we sell an out of stock product, we can replace the item with a comparable product or make the buyer aware of new stock arrival times. All orders general will ship within 24 hours. Orders placed befoe 3PM EST Monday to Friday will ship same day. Orders placed after 3PM EST will ship next day. Order placed after 3PM EST on Friday will ship the following Monday. We do not ship on Saturday or Sunday or on postal holidays. Avid Industries, Inc. is located in New York State. If the credit card billing address or the shipping address is located in the state of New York, we must charge sales tax by law. Log in to your account and click on "View Order Status/View Order Details" . You may compare your order history on our website, with your payment records. If you have further questions or concerns, please contact sales@avidvaper.com for further assistance. Your credit card will be charged at 12 midnight, EST, on the day or your order placement at which time our credit card processing closes out the daily charges. Until that point charges on your credit card or debt card account may show up as pending or Awaiting authorization. Why does my credit/Debt card show multiple charges for the same order? If for any reason a charge submittal is denyed the charge will show on your statement as "pending", "on hold". or "Awaiting authorization". We will only collects funds once for an order even though your statement may show multiple charges. Everytime you sumbit a charge for payment, even if denied, banks will hold the funds, they will show up as a "pending", "on hold" or "awaiting authorization" . Any pending payment(s) are released by your bank at closing. We can ship to virtually any address in the world. Note that there are restrictions on some products, and some products cannot be shipped to international destinations. It is the buyers responability to determine if certain items are not to be shipped to their country. Avid Industries, Inc. is not respnsible for items that are denied entry or held up in customs for any reason. During the checkout process you will be able to choose from any of our payment options. Your order will ship with in 48 hours. Our international shipping quotes are generated through a API to USPS, UPS, and FEDEX. Shipping charges are calculated live and based on weight and destination. Once you have entered your shipping address you will be available to choose from a variety of shipping options. When you place an order, we will estimate shipping and delivery dates for you based on the availability of your items and the shipping options you choose. Depending on the shipping provider you choose, shipping date estimates may appear on the shipping quotes page.If your destination is not in our shipping system you can email sales@avidvaper.com and we can setup a shipping cost manually. Please note that we will not ship your order until we receive payment. Please be aware that USPS International First Class Mail and International Priority Mail are NOT trackable outside the US without the addition of registered mail option ($20). USPS International Express mail is trackable and is insured by default up to $100 USD. Without tracking we can not accept any claims of non delivery or lost packages. Please see our "shipping and returns" for complete details regarding our return policy. To purchase a gift certificate for someone, click on the "Gift Certificate" link in the bottom menu of the site. If you are the recipient of a gift certificate, you can enter the gift certificate information in the order confirmation window when in the payment options area. To find the product(s) you're looking for, you may use the navigation menu on left side of the website, type a keyword into the search box in the upper left hand corner, or click the sitemap at the bottom of the page. This will give you a list of all categories and sub-categories on the site. To navigate this website, simply click on a category to expand its contents and/or show sub-categories. Categories are located on the left of our website. Within the catergories are sub-catagoies with additional product listings. It is our commitment to provide you with the best products at the best price. We value your business and make every effort to make this an enjoyable experience. Defined by the Payment Card Industry Security Standards Council, the standard was created to increase controls around cardholder data to reduce credit card fraud via its exposure. Validation of compliance is done by Security Metrics, an outisde PCI compiance testing firm to insure the secure transfer of comsumers personal information. AvidVaper.com is currently 100% PCI compliant. This status is reviewed monthly.